Today my guest is Melissa Johnson from the blog, Best Friends for Frosting. 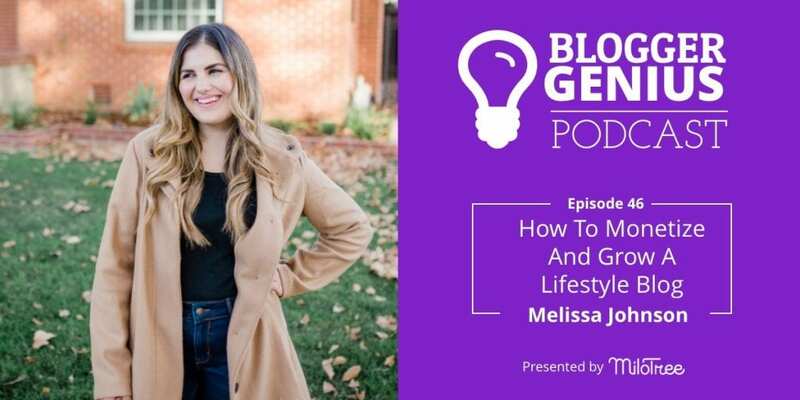 Melissa has built one of the most beautiful and successful lifestyle blogs out there. In this conversation, we talk about the best ways to monetize and grow a lifestyle blog, what it’s like working with your husband, how to experiment with selling products, and tips for working on sponsored posts with brands. Melissa has been at this a long time, and you can tell by all her wise advice! Listen now! Welcome to The Blogger Genius Podcast, brought to you by MiloTree. Here’s your host, Jilian Leslie. Hello and welcome back to the show. Before we start, I have a very quick favor to ask. Please, if you haven’t already, subscribe to The Blogger Genius Podcast. Pause it for 10 seconds. Just press the subscribe button on iTunes, Google Play, Stitcher, wherever you get your podcasts. This will help get the podcast found, help it grow so that I can keep bringing you awesome guests. So let me tell you about today’s episode. Today I am interviewing Melissa Johnson, and she is the creative force behind the blog Best Friends For Frosting. Melissa is an old timer like me, when I think about her blog, it is one of the most beautiful blogs. She creates incredible content, she is the ultimate creator. So without further ado, here is Melissa Johnson. Melissa, welcome to the show. Hello. I’m so excited to be here. So we have been kind of like friends, colleagues online, but we’ve never spoken, and it’s so fun because it feels like I’m talking to an old friend. Same here. I feel like it’s been so long that we’ve emailed back and forth and we’ve been Facebook friends, and it’s about time we have a call. So this is perfect. Totally. I don’t even know your story. Tell me how you started with Best Friends For Frosting. By the way. I’ve always loved that name. How your business your entrepreneurial journey has evolved since then. So I started Best Friends For Frosting, eight years ago, and it was initially a dessert blog but I learned that I was multi passionate. So about a year and a half into blogging I turned it into a lifestyle website where we cover everything under the sun whether it be entertaining, DIY, a little bit of fashion, recipes, interior design, all that fun stuff that I’m passionate about. The way that I see the blog is that it’s all of my favorite things that I get really excited about on my little corner of the internet. So that’s what I’ve done at Best Friends For Frosting over the years, and then also we’ve expanded into product lines. We have launched a Best Friends for Frosting Airbnb that was named after our Best Friends for Frosting Instagram hashtag, that has over 120,000 shares. Wow. Okay, keep going. But we’re going to have to come back and talk about that. There’s just a lot going on. It’s been really fun. And I absolutely love blogging. So I feel like this podcast feels like a second home to me already. Good. Okay. So have you always been creative? I have ever since I was little. I love baking. I love doing little DIY projects. My mom would always take me to the craft store to get little pieces of confetti and stationary. So I have always been creative. Yes. Okay. And so you are the quintessential lifestyle blog? You are the ultimate lifestyle blog. Yes. The ultimate lifestyle blog. I guess you could say. I don’t know big words like that. But again, like it doesn’t matter. Because look how creative you are. You have an Airbnb. Okay, so explain. Did you start because you’re like, I want to be a blogger, or this is like my business. How did that work? So my brother actually, he started blogging about, gosh, I want to say like, almost 15 years ago, he was like, an original blogger. I remember one day I was working a job that I was not passionate about. And he came to my parents house and he had a check for $30,000 from Sprite. And I was like, Oh my gosh, I always thought I was more entrepreneurial than my brother was, I feel kind of bad saying that. But growing up I did just because I was really organized. And my brother wasn’t as organized as me. And I just always felt like I was driven. So it’s like, oh, my gosh, if he can do it, I can do it, too. And so he really inspired me just seeing how he monetized. And so he taught my husband and I some things about blogging. And then I just figured out what I was passionate about. And then I ended up running with it. That’s amazing. Okay, and you work with your husband? I do, we work full time together. It’s our only revenue stream. Wow. And did it start that way? No, we did not start that way. So it was just myself actually. And I’ll tell you what, my son was actually about six months old when I started blogging. And basically what happened was, at first, it was myself running a blog. And then I was working as a marketing director for senior in home care agency. And so I was working that job while blogging. About a year into blogging. I started monetizing. And so I was able to actually quit my job immediately from that monetization. And do that full time. My husband ended up quitting his job, I want to say about three years into it. It’s all so blurry to me. But about three years in the blogging, he quit his job and came with me full time. So ever since then, it’s been him and I on this. Wow. And how do you split up what you do what he does? So it’s really cool. Because with him, and I, and we both have total separate zones of geniuses. So with him, he’s very much a true blue artist. He does photography, he does recipe development. It’s amazing. I really hit the jackpot with him. And so with myself, I’m really great at marketing, branding. Um, gosh, I mean, we’re both good at a lot of different things. But we’re able to split up equally what we’re both individually good at and take those skill sets, and then blend them together and just kind of run with it. So it’s been really fun. I work with my husband, David, and he’s the technologist and he built all of the software and all that stuff. And I would agree, which is we have very concrete domains. And I’ve heard this from other interviews I’ve done that sometimes when you work with your spouse, it can get kind of mucky if you don’t have those delineations. And the people who seem the most successful are the ones that have these, you do this, I do this, we come together for this. And we kind of hand stuff off to each other. But like, I don’t have to answer to you. And you don’t have to answer to me. Yes, it’s so true. And its so funny you say that, because I feel like this is gonna sound horrible. I love my husband. But I feel like during our work hours, the least that we have to run into each other, the least smooth sailing, it’s going to be. I’ll tell you all of our fights that we have revolved around business and kids, because those are the things that we’re super passionate about. Yeah. And for us, I would say that people say that what is for you the biggest downside of working with your husband and I always say that, it’s like, we can’t, it’s hard to turn off the business side and the parenting side, like, just to be the two of us goofy and funny. My husband is really funny, and he cracks me up all the time. And sometimes though, when we’re like, in our work zone, we will be playful with each other. And it’s a weird, I miss you, even though I work with you. We’re the same way too, because you’re working. We’re in the mode, we’re in the zone, but outside, we have to have boundaries on that as well, where it’s like, okay, like five o’clock and beyond we are not going to talk about business. We’re focusing on the kids, we’re focusing on our family weekends as well. We really try to adhere to our schedule Monday through Friday working. It’s exciting too because our daughter, we have a two year old daughter, Claire, and she actually just started preschool a few months back. So I feel like she’s been at home with us for the past couple of years. So it’s really exciting for us where we feel like the newness is kind of coming back, we are able to dive in deeper into our business and focus on things that we weren’t able to focus on months or even years ago. Okay. So when you start your blog, you start monetizing via traffic, via display ads. And we both talked about how we were with the same ad network, Mode. And they went out of business and we both lost a ton of money. We’ll just say that that was very painful. But I did feel really bonded to you. Because we’re in this Facebook group talking about it. It was we were both talking just before we got on, how it made us both sick. I remember walking around with a stomach ache for like weeks. But it was horrible. And honestly, I’m an open book about it. I have been very candid about the loss in interviews and different things. I think it is important for bloggers to realize to get their money up front versus waiting. Because I was very much trying to trust with our agency and so on. I just kept thinking, oh it’s going to be fine. It’s going to be in my Paypal. It’s all good. And then yeah, I just remember like I was signed with them. They were the first company that allowed me to quit my day job. So I was so thankful for them. And I still a very thankful for the opportunity even though it’s crummy, what happened. But yeah, it’s crazy. Yes. I think it taught us a very valuable lesson, which is, the internet is a crazy place and don’t count your eggs. What is it? Don’t count your chickens before they hatch. Don’t put all your eggs in one basket. I mean, if you’re doing this full time you’re doing this with your husband. It’s a wild ride, huh? You gotta hold on and just like be willing to embrace change, to embrace disappointment. And there are some really cool things about it. Yeah, you said it so well. And I think, embracing the change in the disappointment. Everybody deals with that no matter what part or part of the journey they are in. For myself, even right now, I’m embracing a lot of change, a lot of different things on my journey. And just because right now, I’m really focusing on growing a podcast from the ground up, and you’re probably, you probably can relate to that. I mean, especially with MiloTree, what you’ve been growing and working on, which is so cool. I mean, it’s like, it’s kind of like you have your business, but then you’re starting new businesses and new adventures. Absolutely. Okay. So let’s talk about this. Okay. So you start your blog, you’re monetizing via ads, and sponsored content. And then how did you start growing into products? How did you start growing into an Airbnb, all of that? So this year, we really tried to like beta test different products, because we haven’t put a ton of money behind it. It’s more of like brands have come to us and have paid us for releasing the line, that sort of thing. So we really wanted to beta test it behind other brands. So that way that we wouldn’t lose a ton of money it into a product line, just to see how our audience reacts to the sales and all of those different things. So that was our game plan when we release the product line, which sold out. Slow down. I need you to go step by step. Okay. So you decide you’re going to make a product line product, right? Yes. So we decided to make a product line. Okay, what kind of products? So for starters, we released a desk, a very stylish modern desk. We released the desk earlier this year. I have to say, it’s a little random. It is random. But I mean, it isn’t. Because interior design is one of our most popular category. I really wanted to test what sells would be like releasing an actual furniture product. So we released the desk, but you sit and write out or work on your laptop out. And I’m actually sitting here as I’m talking to you. It sold out. Wow. And you did this with another company. We did. We had another company manufacturer it, ship it out, sell it. We took the product imagery, I worked in designing it. And that’s how the whole thing came about. Got it. And then was it like a rev share kind of thing where, you know, this is their manufacturing and shipping it and all that stuff. Like you get a cut of it. And they get a cut of it? So that ended up performing really well. And then in addition to that, we also released a product line with a company called Readable. It’s a female founded company. They’re amazing. And they’re just doing some really cool things. They did their first collaboration with Emily Schumann, of Cupcakes and Cashmere. And they also collaboration with Band-O. And so I’m the third one on board. And so we did a product line collaboration, which sold out to different rounds, I believe. So it’s actually like, it’s a box that you order. I know this is a little confusing, but it’s a gift box that you ordered, put really fun things inside. And then on the inside of the box is personalization. You can upload your own custom photos. And a little message like Happy Birthday says, I love you, or whatever you want to write in the box. And so I designed the exterior of three different prints for the boxes. And they performed really well. It was really fun for me, I got to work hand in hand with their designer, oversee the entire design of each box. So it was just a really cool experience. With you selling these products. Were you testing if people would buy from you? That’s exactly what we wanted to see how the sales generated. And it’s tough when you’re in the blogging industry, and you see your audience and the other side. It’s hard to know, okay, what are they going to gravitate towards the most? What are they going to be most inclined to purchase? And so we just really wanted to test the market and see how that worked. Without totally breaking the bank. Totally. Wow. And it’s good. I mean, your stuff is selling. That’s phenomenal. Okay, let’s talk about social media. Your husband takes some beautiful photos. When I think of you, I think of beautiful photos. That’s really sweet of you to say yes, to me and then also we’ve collaborated with a couple other photographers in Sacramento over the years as well. And so now my husband’s doing more of the photography. He updated his camera this year. And he’s really been learning it and practicing it. So it’s been really cool. Okay, so talk to me then about how you drive traffic to your blog, and what social media platforms do you use? And what where have you connected the most with your audience? Oh, that’s a great question. Okay. So for in terms of social media, I would definitely say Instagram and Pinterest have been our most popular platforms in terms of building relationships, and really making Best Friends for Frosting turn into a brand. I know that they’re so different but I’m such a visual person where I love that on Instagram, its so easy to be able to see things, and Pinterest it’s so easy to see things. But when it comes to Facebook or Twitter, right, it’s not as much of a visual thing. And so in terms of like, generating traffic, Pinterest is working on a case study for Best Friends for Frosting. It turns out that they have told us that we are one of their highest engaged accounts. Yeah, we actually we have 6.5 million monthly viewers on Pinterest and so that’s been an awesome way to grow an extension of our brand, because our readership, people learn about us through Pinterest, Best Friends for Frosting from Pinterest, and then from there, will generate more site traffic, which makes makes us able to demand higher rates for sponsored blog post. We can also have a higher amount of traffic from our visitors from Pinterest. And then the other cool thing is that if people are feeling really inclined, they can follow us on Instagram or Facebook or Twitter. So Pinterest has been a great, great part of our growth. Right? And do you use MiloTree? I do. And I love love, love, love MiloTree. What are you growing with it? So MiloTree right now I’m focusing on Pinterest, because one thing that I noticed on Pinterest for a hot minute there, was that followers weren’t growing as rapidly in the earlier part of this year, because we weren’t putting as much content. And I have literally grown thousands and thousands of new followers just by having that little pop up. What I see probably working for you is if a lot of your traffic is coming from Pinterest to your site, and then your pop-up shows up and says, Follow me on Pinterest, they already know that you’re an influencer on Pinterest. So they’re more apt to then follow you. Yes, that’s so true. The other cool thing about having that plugin as well, is that people will come and find us on Pinterest. But maybe they just want to see the actual like posts. They’re trying to find us from Pinterest, go to my blog. Right. I’m so glad it’s working for you. I’m so happy. Honestly, it’s funny, because we download a lot of plugins. And a lot of times it’s one of those things where we waste money. We buy a year subscription and it’s like, oh, this sort of works, but we’re not going to renew it. And MiloTree is one of those plugins that I like tell every blogger, like you have to download it, it’s so helpful to grow your following, like whatever platform that you’re trying to nurture and grow have that MiloTree pop up for. And we want you to love it. And if you don’t, we don’t want you to pay for it. So we don’t lock you in. I mean you can buy a year subscription but you can also just pay nine bucks a month, and we’re super happy, and we we want to be part of your success. That’s what I’m so thankful for, recently we bought a recipe plugin. And they want a whole year up front. And I get a little commitment phobic, like I don’t want to pay all that up front. What if I end up not loving it? And so my MiloTree it’s cool because you can spend you know that $9 a month and you get these awesome newsletters with all the business tips that you send out, to which is cool. Oh, thank you. Thank you. Yeah, I love doing that. Again. I love connecting. That’s how we did this, was you read one of my emails. And you emailed me back and then I said, Come on my show. That’s awesome. Yeah, I’m so thankful to be here. This is so great to just be able to be on your official podcast. I’ve heard so many great things from other bloggers about this. So now for Instagram. So Pinterest is driving traffic to you. Is Instagram driving traffic? Or what are you getting from Instagram. So Instagram right now, we have our website like in the actual address bar on our Instagram page. But to be totally honest, I feel like Instagram is more of a place where it’s kind of like its own animal. So it’s housing all of its own content. Now it’s doing video. Now it’s doing stories. I’m even getting to a point where I’m posting my recipes. And I’m not even saying go back to my blog on my here’s my recipe because now they’re even trying to have like that Pinterest aspect where you’re able to save your own content and create your own prints. And so I feel like they are trying to be their own animal and a lot of ways, right. And so I especially, because a large portion of our bread and butter is sponsored posts. I make sure to really nurture those relationships. And offer as much up front value without taking them outside the platform as possible, though, I’ll tell you, I do have like anxiety moments where I’m like, I’m going to be kicking myself because Instagram, Facebook owns it. And we don’t know what’s going to happen because we don’t own that platform. When it comes to our blogs. We own that, we own those platforms. And you can easily search for things that a search engine on your blog posts, like, and as a search option, you cannot do that on Instagram. I mean, it’s kind of it’s a very unique time for content creators. I have to say. Right. Do you monetize more from sponsored content than traffic? Oh, yes, we do. Sponsored content is our bread and butter, I would say for sure. We do monetize from or traffic too. But the largest portion of our monetization is from sponsored blog posts and social shares. Got it. So are you constantly doing sponsored posts? We are. We do quite a few a month. Gosh, I mean, anywhere ranging from like, three to ten per month. Wow. Okay. And how do you think about it? Like, how do you think about managing your time, managing your process, so that you’re not just constantly reinventing the wheel? Like, okay, we’ve got another recipe, like, how do you how do you do it so that you can get everything done? It’s tough. I mean, honestly, it’s a never ending battle, because I feel like I’m always refining that process, and then eventually ends up not working for me, or something ends up just, I don’t know, it’s really tough. I feel like it’s a never ending battle. But I am at a unique point where as much as I love blogging, I really want to generate multiple revenue streams. So I am focusing on how to fine tune Best Friends for Frosting to run like a well oiled machine, where I’m not having to be such hands on as I currently am. And so I have that mindset right now. It’s an interesting time for us for sure. We also now have two businesses, so that we’re really trying to find a variety of income streams, and especially, you know, when Mode exploded in our face, like it did, you know, I think that that’s further inspired us to, to really look at how we can make money in a variety of different ways. Totally, I completely agree. I know, it was such a shocker. And that was a big eye opener, where it’s like, you can’t put all your eggs in one basket. And so now at this point, we’re working with a lot of different agencies in terms of closing deals for sponsored posts. That was my question. Are brands reaching out to you? Who is your favorite agency? Like, how do you get work with brands? So in terms of getting work with different brands, and things the majority, a lot of them are coming to us directly, like Hey, we found you, and we’d love to work with you on this or that. And so then it becomes a negotiating process. And so, you know, sometimes they’re not willing to pay our rates, and so it doesn’t end up working out. And so it’s just a case by case basis, for sure. But we do work directly with ad agencies, PR agencies, and then directly with companies, a lot of companies now. In the past, they used to get companies like ad agencies or PR agencies to house in facilitate their blog partnerships. But now companies are actually hiring dedicated people in their headquarters to handle those themselves. So I’m a little bit of everybody. Okay. And then how does it work? Like, are you ever racing at the last minute to get the content created? That was always our thing, where I’d tell me husband, this weekend, we can’t have any plans, because we have three posts, we have to work on. Yes and it’s hard. Yes, absolutely. We’ve been there, done that so many times. And it’s hard, because, I mean, we’ve never been late, we always fully execute. But we have had times where we have to scramble at the last minute and so that’s the hard part. I love what we do. But there is that side things where it’s like, there’s so many steps involved, you have to generate that organic content to keep your audience staying put, and loving what you’re doing, then you have to pitch brands, create the content to support what you’re doing. So there’s just so many different steps when it comes to blogging, and not to mention all the social media growth and all that stuff. Yeah, so how many new posts are you posting a week? Only two. We’re only doing two, we used to do about four to five, years ago. It’s just kind of to the point where I thought, you know, quality over quantity, and it’s just, I really want to, like produce things that I’m over the moon excited about that are meaningful to me, versus just scrambling together to drop a post. Does that include sponsored content as well, like, that would be one of the two that you’re releasing that week? It does. Not every single week, but a lot of times it does. Now, are you going back? This is the thing that we’re doing. Are you going back and updating old content? I’m doing it for SEO purposes. And I have it on my list. And I’m like, Okay, I gotta jump to that. But I’m at the season where I know I’m kind of touched on this earlier, but I tried the whole, getting an office, having employees, having a team, and then I just felt like I got to a point were just getting to the office was a pain in the, you know what, and then, micromanaging people, where managing employees was just so hard for me, because I’m type-A and I’m a perfectionist. And so I just had a point where I just realized, it’s easier for Andy and I to do this together. So that’s kind of where we’ve been this past year. But I’m now at a point where I feel like I’m running myself ragged in a lot of ways. I’m doing a lot of smaller tasks, whether it’s like updating a social media platform, or I hate to say it like that. But I mean, when I’m updating Facebook or Instagram, I do have an intern update that for me, but I am on like Instagram and I myself and an intern manage the Pinterest being like, totally fully transparent. But it’s hard because I’m trying to do everything and then it’s like factoring in growth. I mean, the strategies are just getting tougher and tougher and tougher, right? Yeah, they’re getting more intricate and so here’s what I would say. What we’ve done that has lightened our load is we used to post three original pieces of content a week and now we have gone to two and all we do with that third one is update a post. Really? Are you saying that you update it and change the date? Yes. Republish it, because Google doesn’t care. They don’t care that you did an evergreen post three years ago, if it’s still relevant. And you can maybe make a new collage, update text, all this stuff. Google’s happy if you publish it today. That’s awesome. That is really cool. I’ve heard other people talk about it. But I’d never heard it broken down that way. Where it completely makes sense. Yes. I used to believe that you had to feed the Google machine with new content, new content. And then actually, it was at the AdThrive conference where the SEO guy was like, it doesn’t matter in Google’s eyes. And in Pinterest’s eyes, if you update it. It’s much easier, first of all, to update a post than it is to create a new post. All you need to do is like, right now I’m editing out photos, I realized that we had too many photos in a post or making a new hero image, or trying to really optimize the post for SEO. Yeah Google loves those links. So good. So right. I’m trying to provide for Google, but really, I’m really trying to provide for somebody who wants to see, you know, let’s say we do we have Halloween pretzels. And they’re cute. And so at the bottom will say, hey, do you want Halloween free Halloween printables? Because, you know, you probably have printables at your party with pretzels. And it’s been a really successful strategy. And it’s taken a lot of the load off. So you could go to like, one piece of content a week and then take an old evergreen post and update it. I think that the emphasis used to be back in the day for us was like, we did four posts or five posts or seven posts. And now it’s seems like the emphasis is on quality and updating your content. Somebody described it to me as a library, you have a library of content, and all you’re doing is just making the books ar as good as they possibly can. Like, you don’t even need more books. You just need high quality books. Right. And that’s what I’ve been learning more and more, even with blogging and building my business in general, is that it’s quality over quantity. And simplifying is so important. So if you can take something in fact, it it’s better like, just think about In and Out Burger. They could have so many things on their menu, right? They, keep it very simple. Because decision fatigue. Have you ever gone to a website where you’re gonna buy something and you love something. But then you see six things that you love, and you can’t make the choice and you end up saying to heck with it. And you leave. I feel that way at Zappos. Shopping for shoes. I can go through 32 pages of shoes. No way. No way. But if you go somewhere, like In and Out Burger, there’s like four really good things that have been perfected, and somebody put their heart and soul into it and just made it the best. I feel like that’s the way to go. And by the way, that’s our same philosophy with MiloTree, which is one ask per visit. So it’s not, Oh, my God. And then we’ve got all these things that we need you to do. And you get like, totally overwhelmed as a visitor versus, Hey, follow me on Pinterest. That’s so smart. Yeah, and it’s definitely working. Especially from my perspective, from the growth that we’ve seen on our Pinterest audience loving it. I’m so glad. Okay, so tell me, what about your business are you most excited about right now? Is that bad, that I have to think about that for a second? No, because I know what your life is like. I relate. You know, right now, I feel like I have five really good ideas in my head. And I’m having a really hard time saying and giving myself permission to say, this is where I’m going to start. And this is the one that I’m going to focus on. And so that’s been tough for me. But I’ll tell you what I learned during that process. And I’m going to get right back to your question kind of intertwined together. But I learned the secret to getting ahead is getting started. So, for example, Heartfelt Success Podcast, that’s my, new podcasts that I launched, we feature celebrities and entrepreneurs. And we talk about things that can motivate or uplift you or offer value, whether it’s social media tips, or growing your blog, or a challenge that you may have faced in your life, or motherhood or whatever it may be. It’s a little bit of everything but I was so nervous and so scared to start that podcast. What I ended up doing was I just started sending out emails and getting guest on and recording and then you know, one thing led to another. We had to learn different things as we were going, but we ended up getting everything going. And so I learned, you know, the secret to getting ahead is getting started. But anyways, that’s kind of where intertwines back. I am really excited about Heartfelt Success Podcast, we have some awesome guests lined up. So we’ve already been featured Laila Ali, and we have other guests in the pipelines that will be released soon. So it’s been fun. But yeah, that’s what I’m most excited about. And I have four other things that I’m really excited about, but I just, I don’t know which one to go on to next. So that was my whole answer. In a nutshell, I talk a lot, I blame it on being Italian. I went to a podcasting conference. I love podcasts. I came home. And I said to my daughter, I’m going to start a podcast. And I think she was like, yeah right, mom. And so in a weird way, I wanted to show her that I was going to really do this. And so I just same thing, I just put one foot in front of the other. And I remember it’s like saying, I’m really starting a podcast. And she was kind of like, whatever. And then I kept reminding myself that done is better than perfect. And so I watched a bunch of YouTube videos to figure out how to do this. And then the literal boom, I have a podcast. And as I was saying to you, it’s kind of messy. And I’m not the best editor. And, you know, sometimes, something will happen in the middle of it. And I go, Well, you know done is better than perfect. And so, I get it. And I’m excited for your podcast. Because I have to say, if you out there are thinking of starting a podcast, do it. It’s, it’s not expensive. I really fun. I find it really satisfying. It is really fun. And yeah, that was the thing is that I thought it would be so hard. But honestly, like it’s really easy to get things rolling and going. And the secret to getting ahead truly is getting started. I agree with Jillian, if you’re thinking about starting a podcast, just go for it. There’s so many resources and Facebook groups, and great ways to really learn and find out how to go about it. Tell me if you agree with this, I think you find your voice. Yes, it’s true. It’s true. I said yes. And like a really funny voice. I’m like, wait, but that’s not my voice. I know what you’re saying you find your voice, you find what you’re passionate about. And what’s really meaningful to you. It’s like a good way to learn about yourself, that’s what I think. Okay, so how can people learn more about you reach out to you all of that? So in terms of if you want to follow along, I am over on Instagram at Best Friends For Frosting. You can type in Best Friends For Frosting on Pinterest. The website is bestforfriendsfrosting.com We are just now building a website for Heartfelt Success Podcast, so we do have the website holding page up at heartfeltsuccess.com. And then if you go onto Spotify, iTunes, Stitcher, Google Play, just type in Heartfelt Success Podcast and then you can hear me talk unlimited again and we can keep in touch. Awesome, okay. Well I have to say friend it is so nice having known you for so long, to actually get a chance to chat with you and have all these other people listen. Yay! We’re so overdue. I love that our first conversation was actually recorded, so we can go back to this one day and just laugh about it. Oh Totally. Well, thank you for being on the show. If you want to see why Melissa loves MiloTree so much. 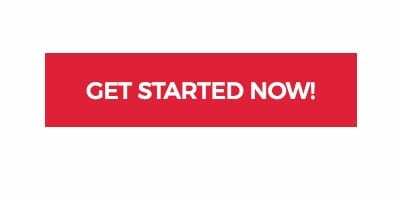 Head on over to MiloTree.com, set up your pop-up, put it on your site, and watch your Pinterest followers grow.